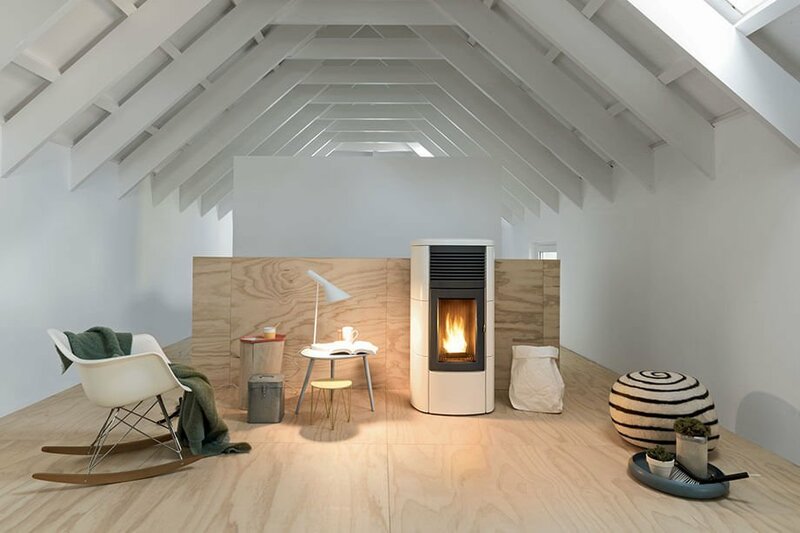 First launched in 2009, MCZ’s five pellet stoves Club, Ego, Musa, Star and Suite were an instant success among consumers and quickly became best-sellers across Europe. Today, 10 years after their market launch and thanks to the implementation of regular technological upgrades, they are still among the best-selling stoves in the MCZ collection. Each stove is available in several versions in order to meet the most diverse heating requirements, yet maintaining its own design. The Air versions are ideal for heating one room, whereas the Comfort Air® versions are ideal for heating two or more rooms. Finally, the Hydro Matic versions are hydro stoves which can heat the radiators of the entire house.